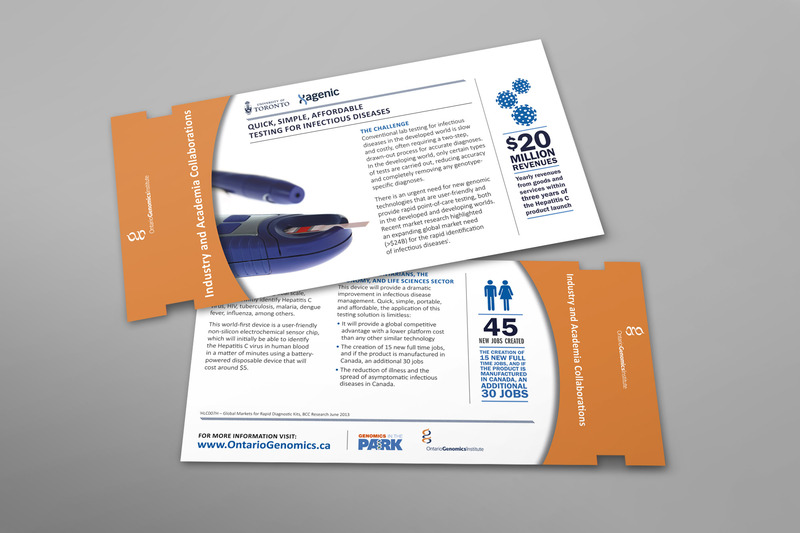 Ontario Genomics support the early stages of moving genomics technologies from the lab to solve real world problems in the clinic and industry. 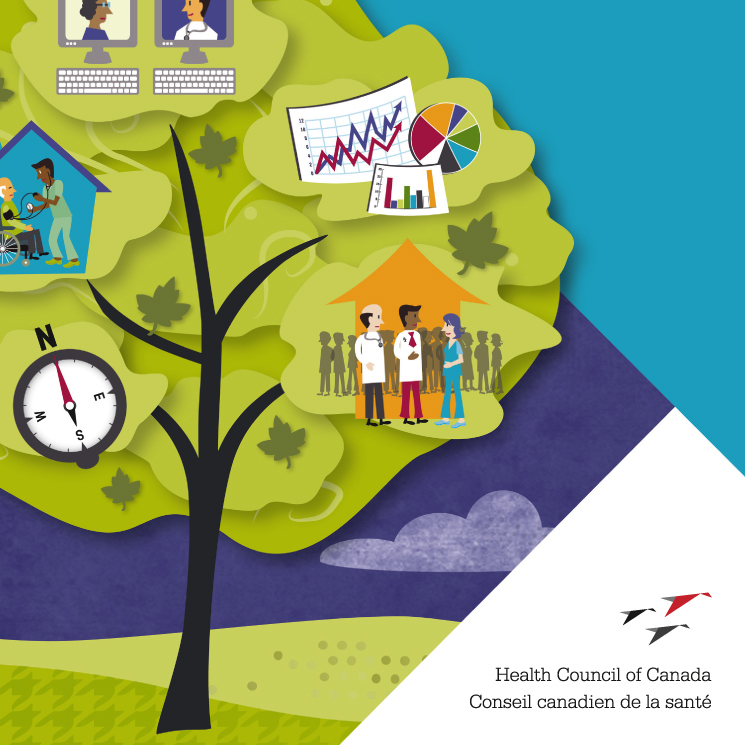 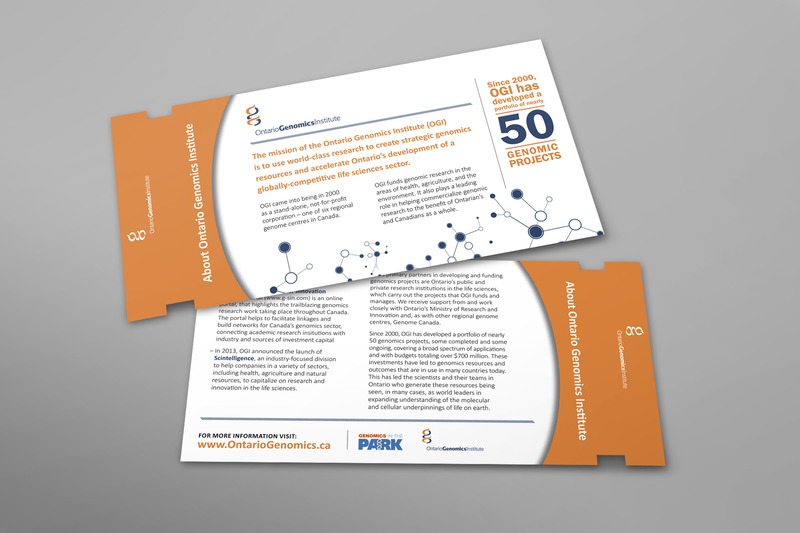 Our challenge: to support Ontario Genomics presentation on “Why Genomics Matter” to the provincial government. 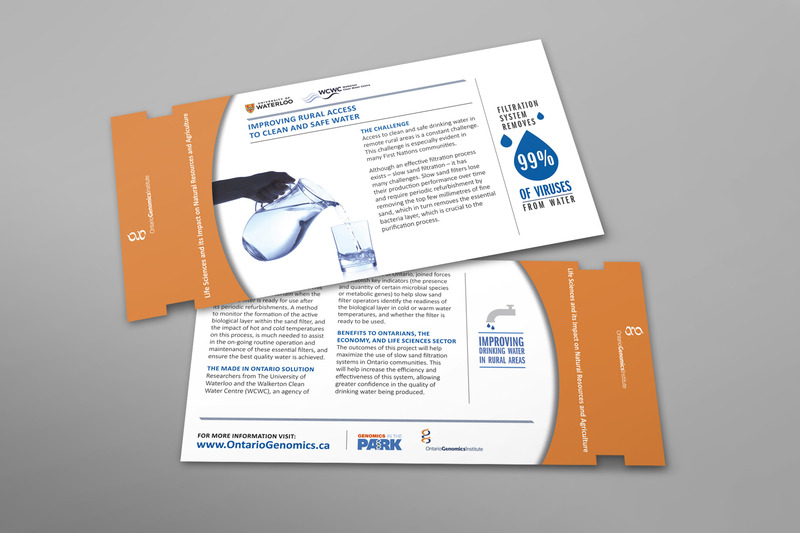 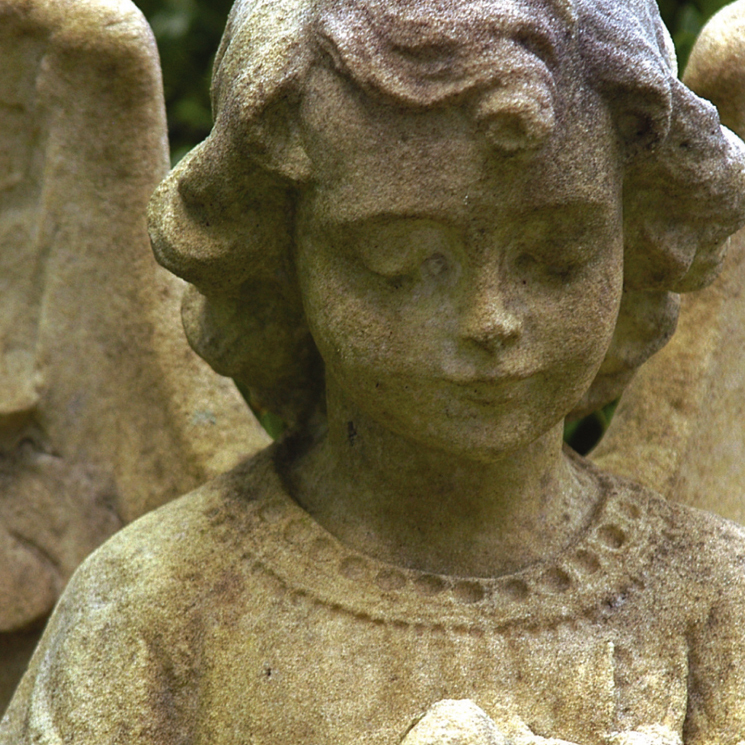 We know the importance of science; after all, we’re DNA. 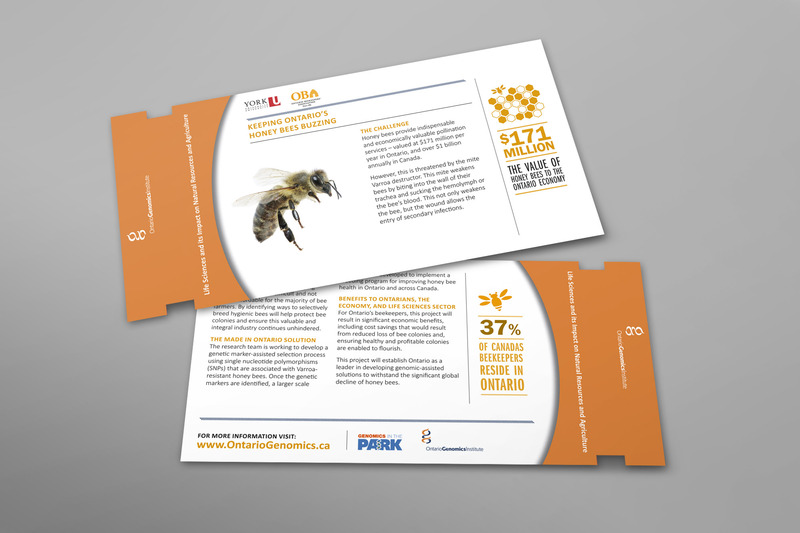 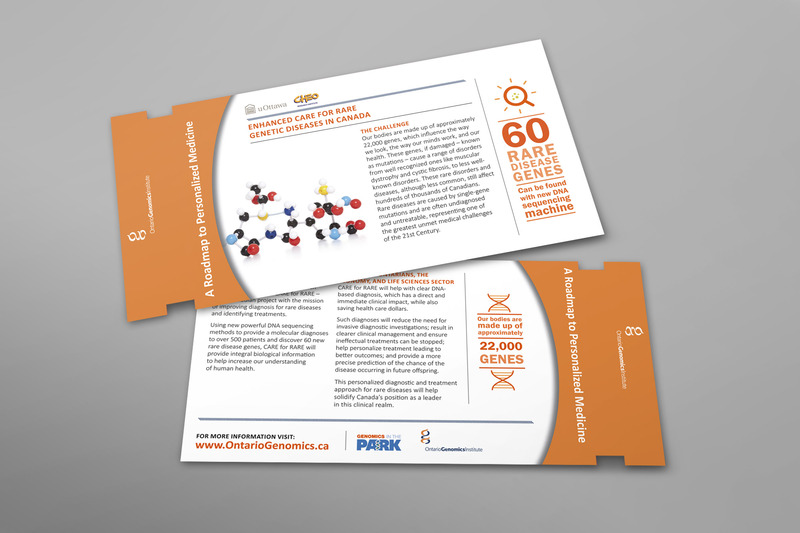 OGI is a publicly funded not-for-profit organization, focused on sparking, supporting and sustaining Ontario’s genomics technology pipeline as a key driver of the province’s economy. 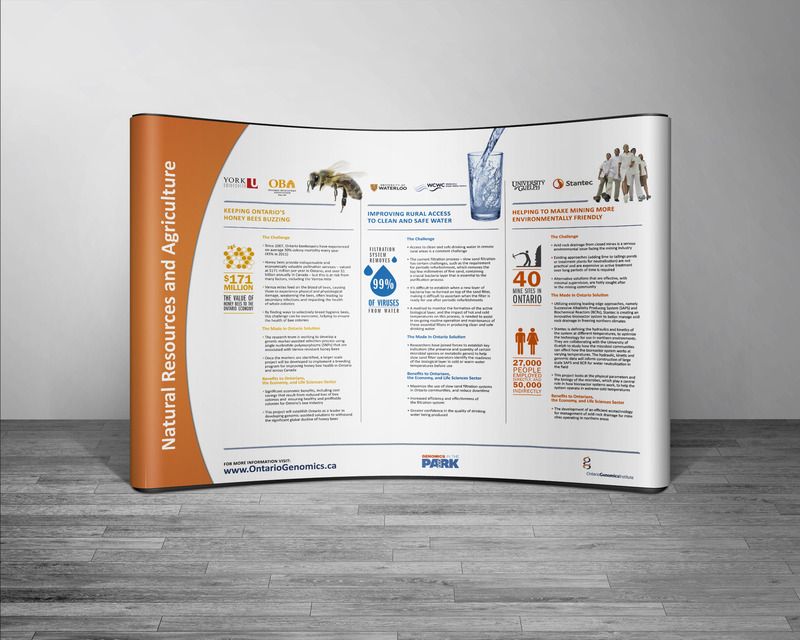 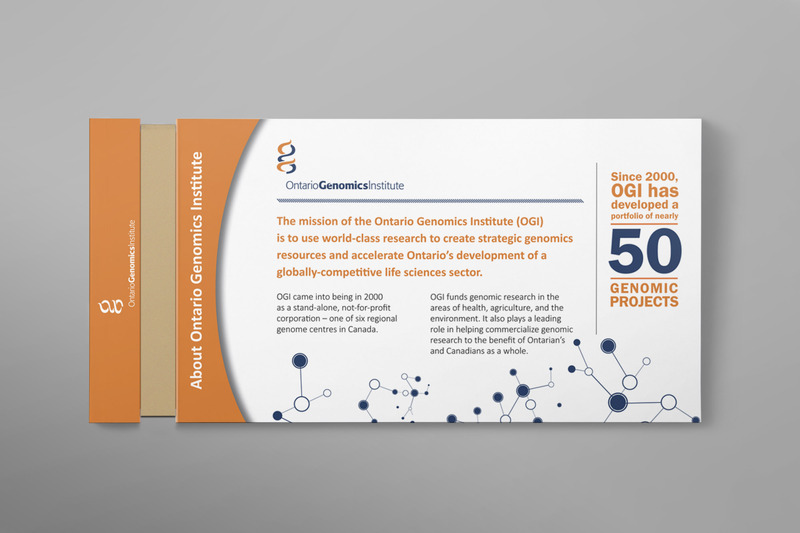 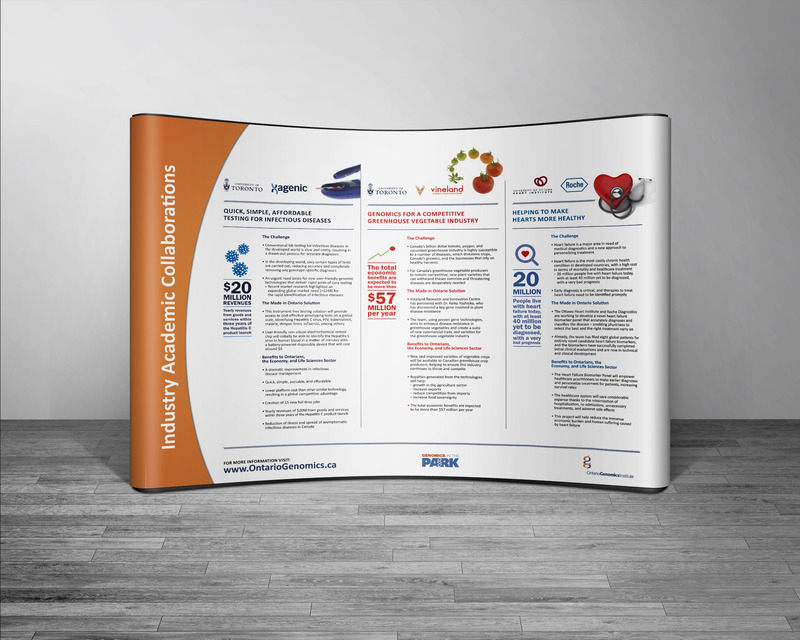 We brought to life a special pitch on “Why Genomics Matter” using key infographics to visually represent the OGI “continuum” – highlighting knowledge, accomplishments and its ‘trajectory’ of what would be delivered.